Parking is limited in Lymington so we advise everyone where possible to think about how your car can be left at home for the day. Whether it’s a gentle stroll, getting on your bikes or letting the train take the strain? Please do take advantage of the main festival car park at Woodside Park lower fields. Woodside Park, Ridgeway Lane, Lymington SO41 8AA where you can park all day for just £5 and is a 15 minute stroll from the event site. Lymington gets very busy, so expect traffic to be heavier and parking spaces to be snaffled early. Why not take advantage of our two additional parking options. Main Festival parking at Woodside Park lower fields. Woodside Park, Ridgeway Lane, Lymington SO41 8AA where you can park all day for just £5 and is a 15 minute stroll from the event site. The train from Brockenhurst to Lymington Town Station takes 8 mins and runs every 30mins across the weekend. See Trainline for times. Additional carriages will be laid on over the weekend. From Lymington Town Station it’s about a 15min walk, that’s if you don’t stop for a quick refreshment enroute. If it’s a little too far to walk, then peddle power is the way to arrive. There will be bike racks on site, plus the park has lots of other places to secure your bikes for the day. All aboard, tickets please. Whether you are traveling from Southampton, Ashurst or Lyndhurst, Blue Star run regular services through out the day. If you’re heading in from Bournemouth, Christchurch or New Milton, then below is the link for More Bus, are on hand to get you around safely. We have some amazing drinks providers so please support them, drinks bought off site will not permitted on site. Why bring warm beer or wine when you can have a beer straight out of the tap!  Keep checking the website and our Facebook page @lymingtonseafoodfestival for more information over the coming months.